Where has the week gone? I spent most of the week since last Tuesday binge watching House of Cards, Parks and Recreation, and Supernatural on Netflix doing profitable things like housework and talking to my parents and cleaning up my home computer. 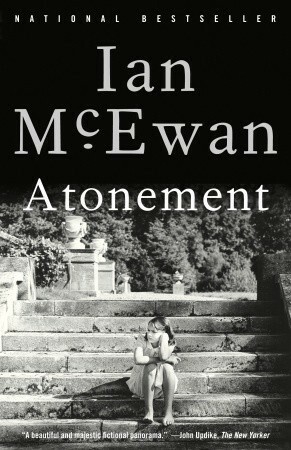 This week I’m reading Atonement by Ian McEwan. Although I’ve had this book for over a year, this is my first attempt at reading it. One motivator to finish my current at-home TBR is my personal vow to avoid the library until I’ve finished the books already taking up space. I use the Truly Random Number Generator to pick the page number for my Teaser Tuesday post; today we go to page 186.
what was in their hands. Shotguns, surely. Turner released his safety catch. He heard Mace and Nettle do the same. I finished reading 1916: The Easter Rising by Tim Pat Coogan and gave it four stars. It would have been five, but the first 25 pages or so were so uncompelling that I almost gave it up. Once I made it to page 30 or so, things picked up and I finished it easily, especially the last fifty pages or so.